5 Great Nature Centers | Features | Kids VT - small people, big ideas! Hours: Sat., 10 a.m.-4 p.m.; Sun., 1-4 p.m. Admission: $5 adults, $4 students, $3 ages 3-12, $15 entire. Kids can dig for fossils, discover minerals in a mine and watch honeybees at work at the Nature Museum in Grafton. The museum opened in 1989, moved to the Grafton Grange in 1996 and now also operates the Fish Ladder Visitors' Facility at Bellows Falls. Walking trails and a wildlife garden are open year round. Programming includes summer and school vacation camps, and workshops on topics such as wildlife tracking, nature drawing, forest management and gardening. All serve the museum's mission of engaging audiences and inspiring stewardship in the natural world — yes, even the popular Fairy House Tour, which takes place in late September. Hours: Walking trails, 10 a.m.-4 p.m.; Welcome Center, 10 a.m.- 5 p.m. Dogs are allowed on leash Nov. 1-March 31; no dogs allowed April 1-Oct. 31. Admission: May 7-Oct. 16, $8 adults, $5 ages 3-17, free for children under 3. Free in winter. William Seward and Lila Vanderbilt Webb created Shelburne Farms as a model agricultural estate in 1886. In 1972, it became an educational nonprofit. Today the 1400-acre property includes an inn and restaurant, as well as a children's farmyard, open during the summer, where kids can visit chickens, goats, sheep and other animals. The property is still a working farm with an on-site cheese house that produces award-winning cheddar. Trails on the property are open year round for walking, cross-country skiing and sleigh rides. Its summer camps and school programs are so popular, there's a lottery to get in. Hours: Trails open every day; Center is open Mon.-Fri., 9 a.m.-4 p.m. This 28-acre reserve along the North Branch of the Winooski River offers nature programs, summer camps, field trips, a lecture and a slide-show series, as well as bird-and amphibian-monitoring programs. North Branch is also home to a teen birding program called Feather Questers, whose April events include an owl prowl and snipe search on April 8, and a trip to the Northeast Kingdom's Moose Bog on April 24 to search for spruce grouse, boreal chickadee, black-backed woodpecker and gray jays. Hours: Open seven days a week. Nov. 1-April 15, 10 a.m.-4 p.m.; April 16-October 31, 10 a.m.-5:30 p.m. Admission: $10.50 adults, $8.50 ages 4-17, free for children 3 and under and VINS members. The Vermont Institute of Natural Science is for the birds — literally. The VINS Nature Center, established in 1972, houses more than 40 injured "ambassador" birds that can't be returned to the wild. Visitors can see eagles, falcons and owls in live raptor shows and view several species of songbirds in a special aviary. A scavenger hunt and an audio tour enhance the outdoor experience available on four nature trails. VINS' summer nature camps offer hands-on learning for kids in grades 1 through 8. Hours: Mon.-Fri., 8:30 a.m.-5 p.m., Sat., noon-3 p.m. (based on staff availability). The 255-acre Green Mountain Audubon Center is home to more than 100 species of birds, but visitors can also encounter salamanders, frogs and beavers on its five miles of trails. The center has a sugarhouse, butterfly garden, and barn with interactive displays and activities. 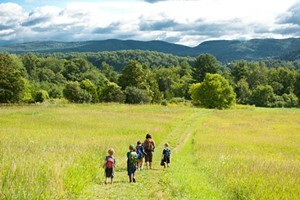 Audubon Vermont offers year-round education programs for Vermonters of all ages. 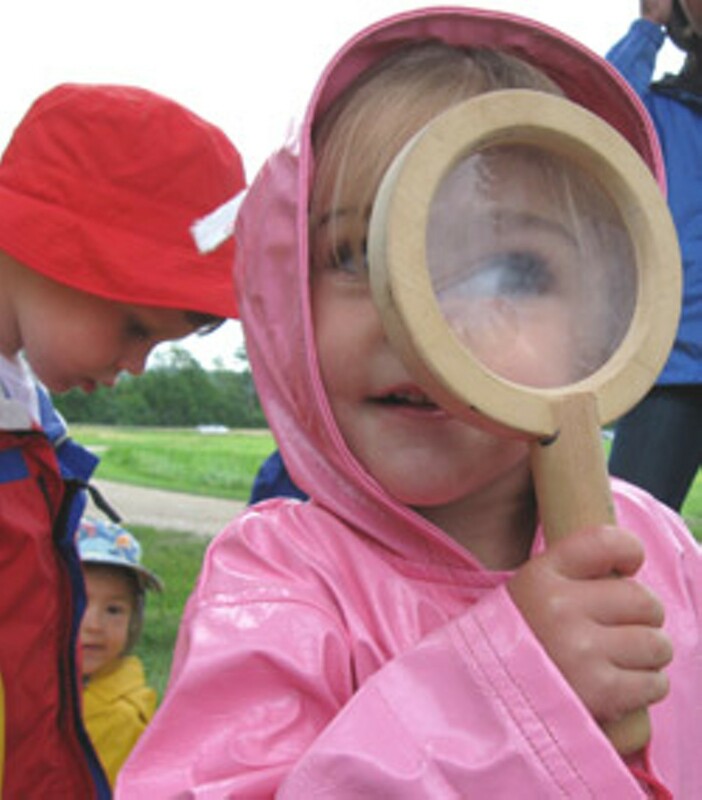 On April 14, for example, the Center hosts a session for preschooler "Salamander Sleuths." "We'll pretend to be salamanders as we slither back to our favorite vernal pool and do the waggle dance," reads the description. Sounds like fun! Kate Laddison is the associate editor of Kids VT.